The WCS-4800 is practically designed to be installed where the 4.5kW Spot Coolers hot air duct cannot be exhausted readily. 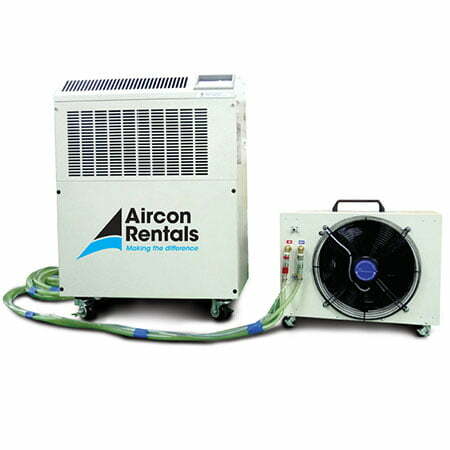 The small heat exchange unit, connected by 2 quick connect glycol hose lines, can be located up to 20m away from the main unit. Of durable metal construction and on 4 heavy duty castors, a self-diagnosing control panel provides ease of operation with continuous or automatic timing functions. Very suitable for data centres, equipment cooling, server rooms and installations where a split system is the only option.